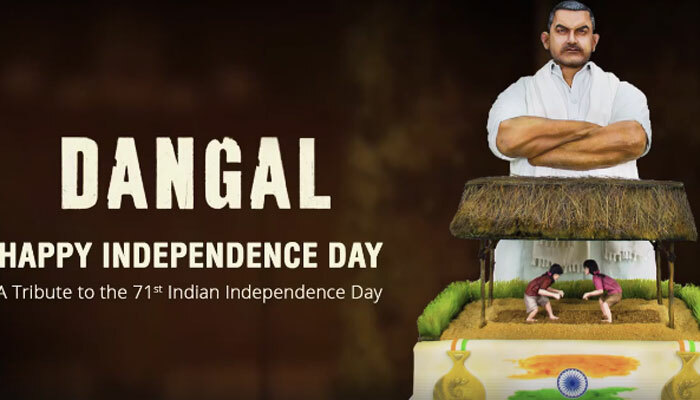 Independence Day Tribute: Dubai bakery turns Aamir Khan’s ‘Dangal’ into ‘World’s Most Expensive’ cake. This has to be one of the most innovative ways to pay Independence Day tribute to the motherland. 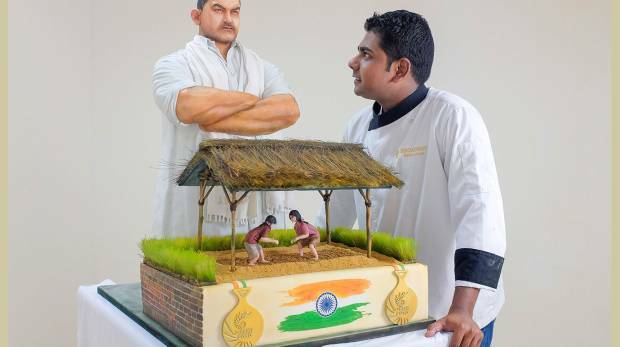 Well, Aamir Khan’s ‘Dangal’ has been turned into a cake and wait not just a simple one but ‘World’s Most Expensive’ as claimed by Dubai’s Broadway Bakery. Yes! 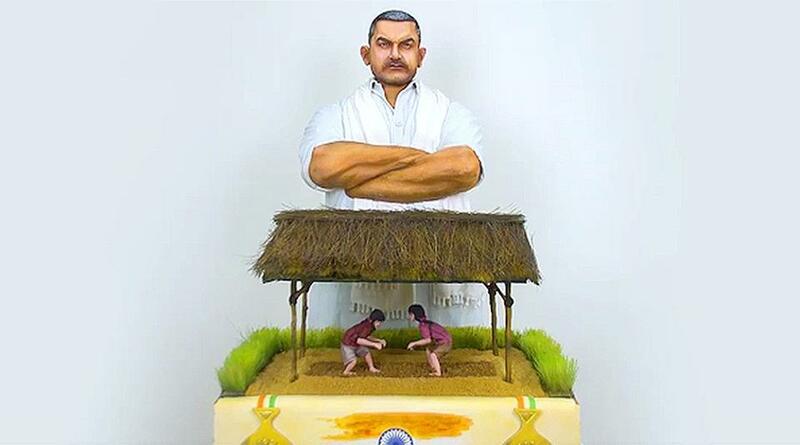 The bakery has even shared a link to their huge ‘Dangal’ cake on Facebook and we must say it looks yummilicious. “The client wanted gold to be generously incorporated into the cake and we fulfilled the request by coating each medal with 75grams of edible gold. It took Broadway Bakery’s teams 3.5 weeks and 1,200 man-hours to create this $40,000 work of art”, mentioned the Facebook description. “The client wanted gold to be generously incorporated into the cake and we fulfilled the request by coating each medal with 75gm of edible gold,” the Broadway Bakery said in an official statement posted on its Facebook account on Wednesday. The artists also capture a scene from the movie where Phogat’s young daughters and Olympic winners Geeta and Babita practicing Dangal (wrestling) in a makeshift Akhada (practicing ground for wrestlers). “The cake is 100% edible and made entirely using sugar fondant, the signature chocolate sponge, ganache, Belgian chocolate, demerara sugar and edible gold. The Signature Chocolate Cake is one of the best tasting gourmet cakes in town,” the bakery company said. Interestingly, cake artists at Broadway Bakery have created the world’s most expensive edible cake to help celebrate the Indian Independence Day. It features Aamir Khan as Mahavir Singh Phogat overlooking his daughters Geeta and Babita for Olympic greatness. The bakers add that it can comfortably serve 240 guests.